I believe that Andy Warhol wrecked art. It was shorn from any aesthetic worth. You can now erect any random object in art gallery and accrue millions. It was mollified to the point of inanity. Warhol made art cute and cudly. Gone was the passion and hubris of the Renaissance, the Romantics and the Surrealists. Art became as cute - and disposable - as a coca-cola bottle or a cuddly toy. 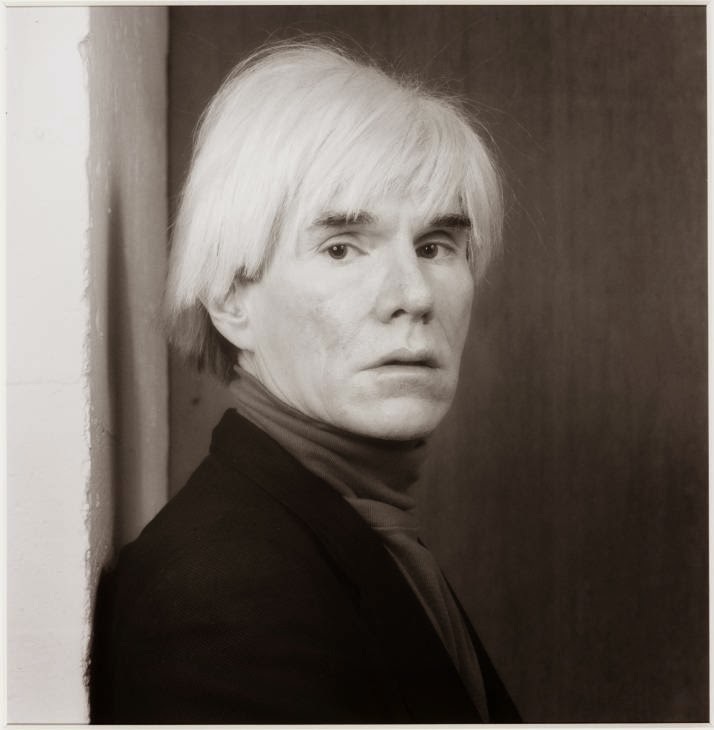 When Andy Warhol arrived on the scene, it changed art irrevocably. His ilk dominate the market. People who dominate this market know how to control precisely because they are business people, not artists. What they offer isn't art. It is a vacuous commodity to be sold for billions. Warhol turned art into an advertisement and commodity. It tapped into the free market in a jiffy. Warhol revelled in the inanity of the free market. Unlike a great painter like Caspar Friedrich, he didn't discriminate from the drudgery of contemporary life. He merely swallowed it and regurgitated more pointless drudgery. I would take any day an artist who forensically examines phenomena and selects the remarkable, the transcendent. We are saturated with rubbish all the time by advertising. We don't need to go the art gallery to see more of it. If you want to use art to comment or critique the inanity of advertising - that's great. You shouldn't, however, mimic it. The fact remains that these are businesspeople, not artists. 'Artists' like Tracey Emin and Damien Hirst are seen as exemplary by David Cameron. They are business people working in the private sector who make billions. They are reticent to pay tax. They just want to accrue as much wealth as possible, spend it as lavishly as possible, gain cachet and surround themselves with a coterie of sycophantic yes-men. Thatcherites see them as exemplary because they have managed to have some influence on the free market. Like a truly great businessperson, they have made billions out of something farcical. There is a new breed of business fundamentalist/entrepeneur who is poisoning both culture and politics. It is the same sorry story as positivists and 'scientism,' but it is more sinister because it has a far wider reach. Business has to be applied to education. As soon as you sell education, it turns it into a worthless commodity. Education should be a right. Universities are now virtually shopping centres. With little wisdom or knowledge to impart, they are awash with business courses and shopping precincts. Ludicrously, they seem to have more clubs and dance halls than library space. Instead of teaching how to think critically or originally, universities just teach students to be consumers. This malign 'business positivism' has also crept into 'high' art. You don't sell art which tackles big social/existential/moral topics; you sell gimmicky products to be scrutunised by bearded hipsters. These 'gimmicky products' are simply kitsch with no intrinsic value. What does an unmade bed or a shark in a tank have to say? The supposed commentary in these works are shallowly imputed by critics. They are not intrinsic to the art. In the end of the day, this will all blow over. Hirst and Emin will die with a lot of money in the pockets, but they won't go down in time as great artists. Nor will Warhol. All they can do is create zeitgeists. Most of the trends of our time will not leave a slightest dent in history. Today's painters and artists who are trackling big important questions will be remembered. They might be unnoticed now, but their work will manage to transcend time. All the likes of Warhol, Hirst and Emin can do is to conquer the free market. It is ephemeral. The outsiders and fringe artists, people who are marginalised by the bloated art market, will go down as the great artists of our day.